1. You are at different stages of your writing careers. What works when you’re established doesn’t work if you’re just getting started. When Big Name Author sends out a newsletter to 20,000 fans, she gets a huge boost in sales that you won’t get with your list of 300. If she runs a Facebook party she has the draw of fans who are interested specifically in her books. A new author won’t have the same success and may draw more prize seekers than fans. Likewise, Big Name Author may say that doing promotion x is a waste of time, but for a newbie, promotion x might be a necessary, even critical, first step. 2. The genre. Some genres are more popular and sell better than others. Others have a more targeted and easier to identity readership base. Certain promotions work better with certain genres. When I wrote spanking romance, blogging was a great way to promote books because the spanking community had an established online presence. 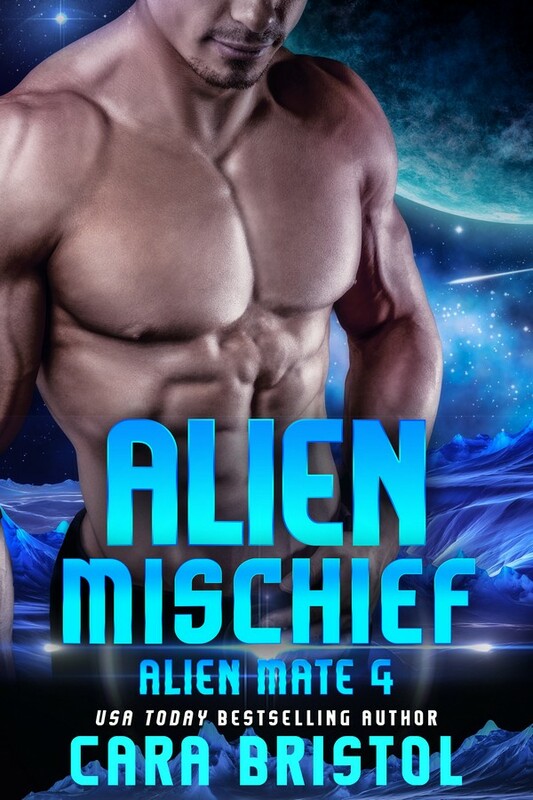 Blogging for sci-fi romance doesn’t work nearly as well. Certain review sites only take certain genres. Authors of some genres are more organized and supportive of each other than in others. 3. Changes in the publishing market. The market is different now than it was a year ago and is dramatically different than it was five, seven years ago. What may have worked then doesn’t work so well now or may not even be an option an longer. For example: When Amazon first rolled out KDP Select, an author could list a book for free for five days, and when it switched back to paid, they kept their rankings. That gave them enormous visibility, resulted in a boost in sales, and they built a fan base. A lot of Indie authors doing well now got their start in the old days of KDP Select. Do a free promotion now, and your ranking drops back to what it was before it became free. Authors no longer get that extra visibility in paid sales. (Doing freebies still has merit though!). Kindle Unlimited was originally way more lucrative than it is now. So when an author tells you he/she got their big break doing x, you need to know how long ago she started doing x. 4. What goes on behind the scenes. For every visible promotional campaign, invisible actions may be happening that you don’t know about. For example: a free promotion. Author A might make a book free, get a huge number of downloads, a big increase in sales of her other books, loads of reviews, and a boost in fan base. You try it and very little happens. What you don’t see is how much advertisement Author A put into gaining visibility for that freebie. Or you may have picked different newsletters to advertise in. Some newsletters have great ROI; some have poor. The other author may have gotten a Book Bub deal. 5. Whether a book is a standalone or part of a series. You have more options to promote a series than you do a standalone. Making a first book in a series free or pricing it at 99 cents will result in more sales for the other books in the series. Make a standalone free and you don’t get the same results, even if you have other books. 7. Whether a book is Indie or traditionally published. There are advantages to both that are not available to the other. 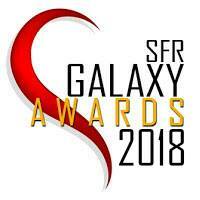 Authors with an e-book publisher gets the boost of being on the publisher’s website (often the home page) and featured in the publisher’s new release newsletter list, which can be quite large. This gives authors a huge advantage with new releases that an Indie doesn’t have. So while Author A and Author B might be following the same promotional plan for a new release, one author might have an extra boost that the other doesn’t have. An Indie has the flexibility to use price discounts to manage sales for the longer term. They can do free and 99 cent promotions that Trad-published authors can’t take advantage of. They can do Kindle Unlimited and take advantage of borrows. 8. Lies and Omissions. You can’t assume that everything other authors say is true or that they are telling you the whole story. They might say they promoted their successful book by writing 100 blogs, but what they really did is write 100 blogs and spend $2,000 on advertising. A successful advertising gig or promotional strategy is a lot like a good fishing hole. They’re reluctant to share it. What other factors do you think affect the success or failure of a promotion? This entry was posted in Social marketing and tagged book marketing strategies, book marketing strategies that don't work, Cara Bristol, fiction marketing strategies, How to promote a book, how to sell your book, romance novel marketing strategies, Social media, using social media to promote a book. Bookmark the permalink. Informative. It puts things in perspective. Thanks for this! I’ve tried a lot of things and I had to cut back because it wasn’t generating the sales. I started over with a new publisher so establishing a fan base is different now. I guess my motto is to try what feels right and what I can handle and to keep writing! Thanks, Cara. I switched genres and went Indie! Many of my readers followed me over, but some didn’t. I had to start developing a new fan base too. Hi Cara, thank you for this insightful look about promotions. You hit on some very good points, especially about what works for one might not work for another. Great post, Cara. 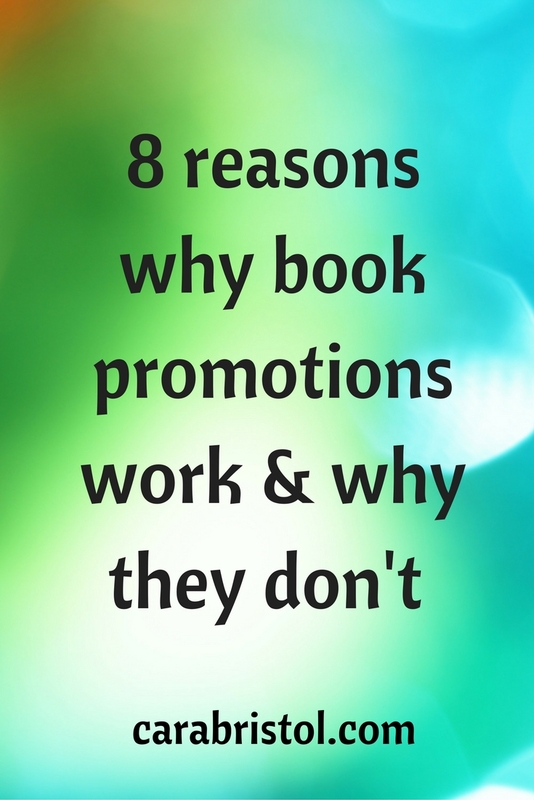 Energizing your promotion/ author support network is critical to increasing book visibility. Yes, one key aspect though is to develop an author network within your genre. You can get a lot of support and advice from authors in general, but for cross-promotion campaigns, you have to be in the same genre, or related genres. Thanks Cara. I think promoting is the hardest part of writing. It’s like trying to put a barbecue together without instructions. Valuable insights – it’s tough to promote books. 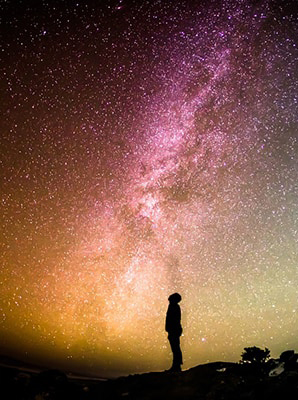 Great things to think about Cara, I appreciate the insight because you do wonder what you are and are not doing and with a constantly changing landscape it can be very hard to figure it all out. Best! The changes make it especially challenging. As soon as you figure out something that works–it changes, and you have to figure out something else. Interesting blog, Cara. After three years I finally feel that I’m beginning to make progress. I’ve been relentlessly chipping away – promoting here and there, writing free short stories, making teasers and videos, and maintaining a FB and Twitter presence. I don’t rely on writing for a living, so I can indulge myself in trying new things. I could probably do better if I wrote a series, which is something I am considering. It’s just a slow, steady progress for most of us – unless we hit the zeitgeist like E L James. But I fear that won’t happen again for a while. I just enjoy writing so much that I would probably still do it, even if I had few sales. You are such an inspiration to many other authors. I think a good number of authors start out as hobbyists or part-timers, then it sort of mushrooms. There’s a Catch-22: you can’t earn a “full-time” income writing until you can devote yourself to it full-time, but you can’t write full-time until you can earn that income. So unless, you’re independently wealthy or have a patron spouse, it’s a rough hoe to take writing to the career level. Anther excellent post, Cara. I may not comment often, but I do read your blog. I look up to you for how much you share with other authors. Sometimes it’s overwhelming just thinking about everything that’s involved in the business end of writing. You help clear away some of the confusion. Thanks for comment. Sometimes, I think I overshare. I know many other authors play their cards pretty close to their chests. I’m thrilled you visit! A whole of true in this post. Thanks! You’re right, Cara. There are so many variables. Everyone’s looking for the magic button, but it doesn’t exist. What works for one author won’t for another. Everyone has to find their own path, usually by trial and error. It is trial and error, for sure. Unfortunately, figuring things out through trial and error takes a long time, and those “errors” cost you, not just with present sales, but also with future sales. I think if authors were more open about what worked and what didn’t, some trial and error could be avoided. You’d still have variances due to genre, timing, career stage, etc. Great information! Thank you for sharing you experience. Excellent post with great insights. 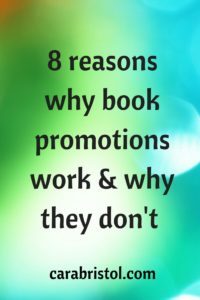 Promotion is so difficult because of all the variables you touch on, plus it takes the author away from what she wants to do most–write. That’s the biggest thing I struggle with because I too am a part-time writer and can’t always take the time I need to market the books I’ve written. This post is going into my “Do This” file and hopefully next time I release an indie book I can use your advice. Thanks so much! Marketing is hard, and it’s really tough when you have a day job. You’re right, Alice. I believe in that philosophy myself: It’s far more effective and stress-reducing to focus on a couple of activities and do them well, than to try to do a little of everything.